Mercedes-Benz is no stranger to innovation and state-of-the-art technology. The forward-thinking minds of Carl Benz and Gottlieb Daimler were at the crux of the new automotive concepts rolling out at the beginning of the 20th century. The first Mercedes vehicle was produced in 1901. In 1926, the Mercedes-Benz brand was launched, and vehicles carrying this name hit the road for purchase. Mercedes-Benz automobiles are still at the pinnacle of advanced technology today, with designers and engineers working tirelessly to improve and enhance Mercedes-Benz technology. All-encompassing automotive design is the essence of the engineering process of Mercedes-Benz vehicles. Engineers are the core of the design team. They work with graphic, industrial, textile, and interface designers to create automobiles that rise above all competition. Pushing the envelope for producing state-of-the-art vehicles at the forefront of the current generation is the common goal of the design team. The Mercedes-Benz E-Class automobiles are mid-size luxury vehicles, but an overhaul of the car’s exterior profile for 2017 has produced a slightly streamlined look. LED matrix headlights and tail lamps with a startling new “stardust” effect provide impressive illumination. Inside, the Mercedes new technology is more pronounced. Plenty of accents and details in the upholstery and trim gives the E-Class a feeling of luxury. Consumers can also choose from 64 different colors in interior LED ambient lighting. Every model has a 12.3-inch touch screen for information and entertainment, with a second screen available for instrumentation. The Comand system features both a control knob and a touch pad for simple control of music, navigation, and interior climate. The steering wheel even has touch control pads to enable the driver to swipe for instrument adjustments. Another luxurious option will include heated arm rests. Bluetooth technology enables drivers to effortlessly pair a phone with the car for hands-free calling. After pairing a device with the vehicle, contacts are accessible on the car’s screen. You can even access playlists from your device via the car’s interface. Firmware updates for the vehicle’s radio and documentation will also be accessible with the Mercedes new technology’s online connectivity. 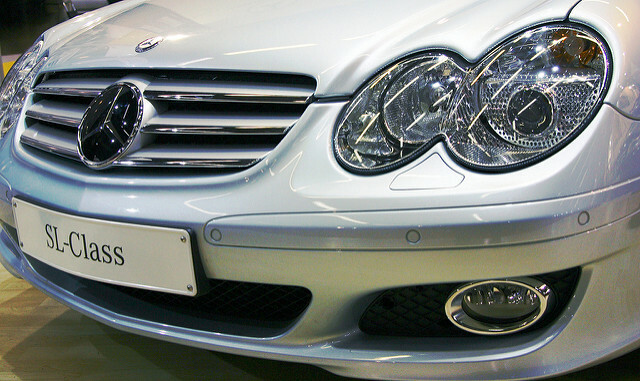 Another example of the best cutting-edge Mercedes technology is Multibeam LED lighting technology. These headlights incorporate both safety and the most innovative advances in technology. Drivers can control each lamp separately or both of them together. These lights also work without blinding other drivers in oncoming traffic. Consequently, it’s no longer necessary to shift back and forth between regular and high beams when driving at night. The lights work in conjunction with a windshield camera to analyze the road ahead for potential obstructions. Expanded light distribution illuminates a broader path for better night vision. The F 015 Luxury in Motion concept vehicle is a glimpse of the impressive future of Mercedes-Benz technology. The features and concepts showcased in this vehicle are impressive to say the least. You might think of it as a living room on wheels, with the driver free to interact comfortably with passengers instead of focusing on the task of driving. It’s actually possible to switch back and forth between manual and autonomous driving systems, depending on the driver’s preference. With high-resolution screens in multiple positions and enhanced safety features, this car of the future promises big things for Mercedes technology.